Marcus took the papyri and went to visit his teacher. His enthusiasm for learning the cosmic science made his pace faster than usual. He was looking forward to another heavenly dwelling at his master’s place. Whenever he met his teacher and heard that man’s wise words about life and astrology, Marcus was filled with indescribable joy and happiness. He loved astrology so much and the heavens granted him one of the most wonderful teachers of his time: Vettius Valens. Finally he arrived. The master was sitting in his chair and observing some charts shrouded with his deep thoughts about the celestial influences and the life of the person whose chart he had in front of him. Marcus enjoyed the silence of his teacher, he didn’t want to interrupt him in his contemplation. “You know Marcus” the teacher finally broke the silence, “each life is filled with good and bad things, some people enjoy more of the good things in life, some less; but even the former are not spared from the griefs of life”. Marcus was enjoying these wise insights of his master and was writing every single word inside his heart. He was feeling every letter coming from his master’s mouth. He didn’t want to say anything, knowing that in that way he can disrupt the wonderful chain of thoughts coming after the deep contemplation of his master; he was only affirming the words of his master with a simple movement of his head. Marcus was young astrologer who had tremendous obsession with learning this art. Recently he wanted to know about the topic of marriage since many people were asking him to predict that particular side of their lives. “Tell me something about the topic of marriage master, about the relationships and everything that is accompanying them” Marcus finally spoke. “Oh my boy, you are asking not an easy thing, prediction of marriage and the analysis of relationships, are among the most complicated subjects; but not unattainable for those who are serious in learning the cosmic science. The thing is complex not because of the fallacy of the art, but because the relationships in which people are involved are so multifarious, that sometimes the astrologer must take many things into account to predict the whole dynamic of a person’s relationship life”, the teacher replied. “I understand my master, but still, my soul is filled with desire to learn more and more” replied Marcus. “Master, can you present me these things with an example? Since the example is most assured way of learning the new subjects” asked Marcus his teacher. “Of course, I will give you an example too, but let me first elaborate all the principles necessary for judging the marriage union. 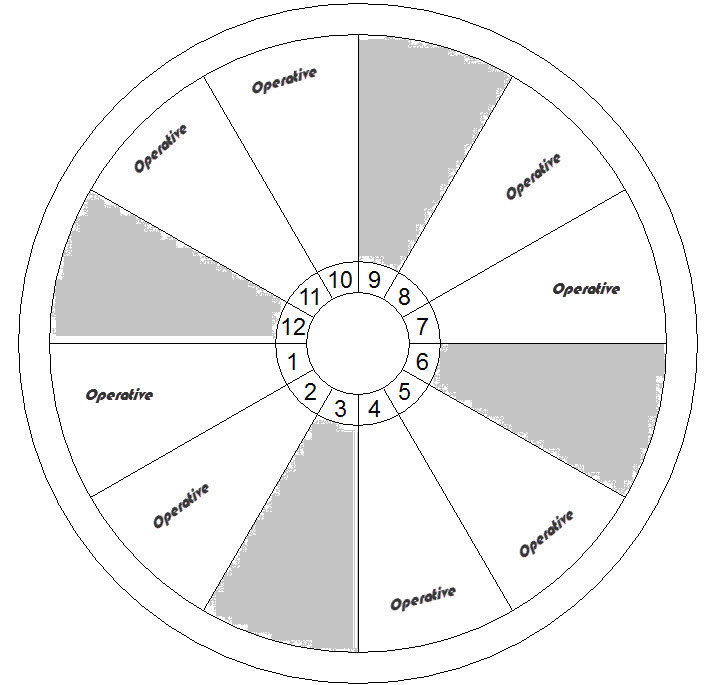 You need to know that the old masters of this art, like The King Nechepso, Timaeus and the most elevated Hermes, all had slightly different opinion as to which places in the birth chart ought to be counted as operative and non-operative” the master started his wise talk. “This must become clear to you from the beginning of our learning. 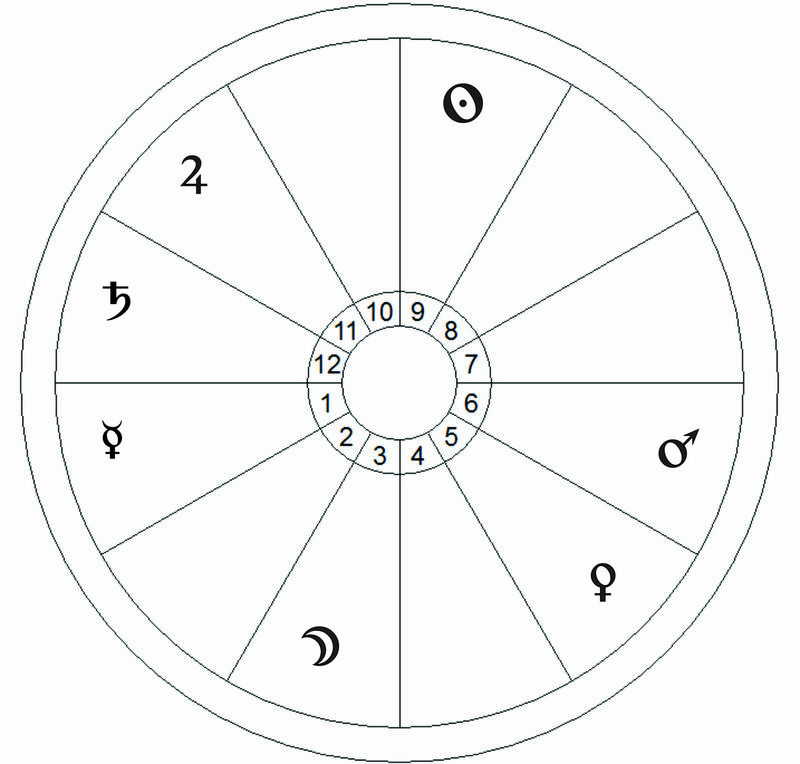 According to the King Nechepso, the Pivots or the angular signs reckoned from the ascendant, and the signs following them are said to be operative and planets in these signs perform better. The third sign from the Pivots, or the cadent signs, according to the King are non-operative and the planets here perform with difficulty, since some of these signs are turned away from the native, especially the 6th and 12th signs in which planets do not aspect the ascendant. 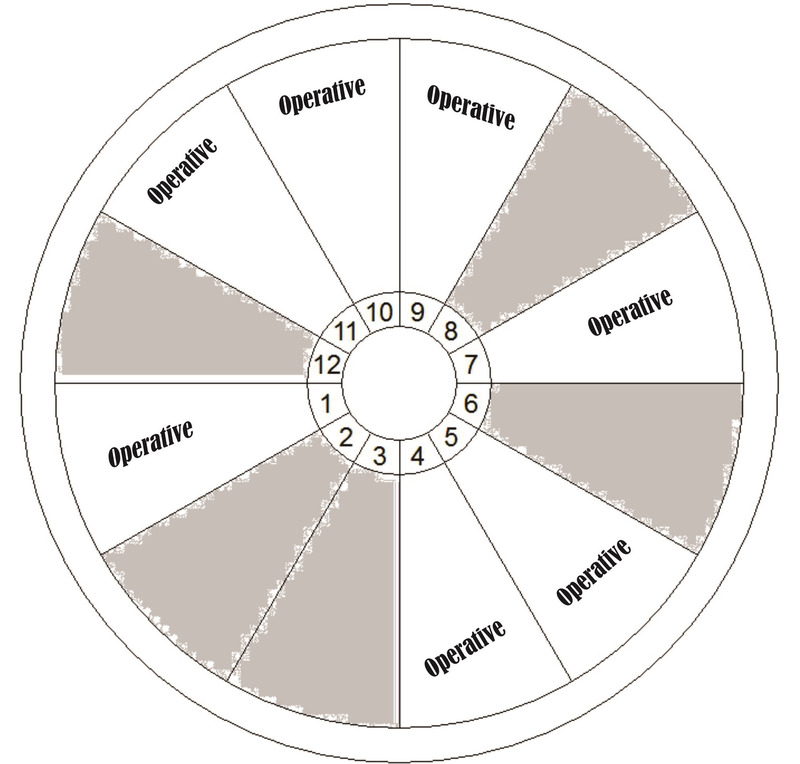 “Master, can you elaborate what ‘operative’ and ‘non-operative’ means? Are the non-operative signs bad?” asked Marcus. “Is it a matter of strength?” Marcus wished to know the matter even more deeply. “You can say so but the word ‘strength’ does not apply to the whole concept either. So it is not that planet in operative place is doing good for the native, nor the planet in non-operative place is doing bad for the native with the mere presence there. It is more a matter of creating circumstances for planet’s performance” replied the master. “Which school will we follow master?” asked Marcus a bit confused as every student approaching the subject. “I understand master, please continue”. The master smiled as he was sympathetic toward the curious nature of the student, and also confirming his clever question. Marcus walked to the teacher to see the chart. “Oh I understand now, my master” replied Marcus excitingly, with joy in his heart. “So being of the sect in favor and rejoicing principles. I understand” replied Marcus. “It is now time to give you an example” said the master. “But master, isn’t Mercury making a sextile to Venus from a licentious sign Capricorn, accentuating this side of his nature even more”? “Which are licentious signs?” asked Marcus. “So, the signs ruled by or where Venus and Mars are exalted?” noticed Markus. “Master, some say that emperor Hadrian – besides his liking of young good-looking men – was involved in adultery with married women. Some even doubt that he maintained intimate relationship with Trajan’s wife Photina, and this is why she stood behind him when he acquired the throne. What is it in his chart that shows this side of his relationship life?” asked Marcus. Marcus was listening with joy in his heart and tried to remember all the observations of his master. He was feeling like he is in heaven, talking with some divine creature who knows the secrets of the Cosmos. “So the main reason for the adultery, is shown in his chart by the presence of Mars and Venus together in licentious sign?” asked Marcus. “It is shown by many factors my son, not one. You need to look at the chart as a whole. But the above mentioned by you, adds to the picture. The presence of Venus in a passionate sign which happens to be her exaltation, and with Mars here, shows that the native was successful in gaining the object of his passions”. “Will the Lot of Marriage give the similar indications?” asked Marcus. “Count this lot: for men find the distance from Sun to Venus, and for women from Moon to Mars. Then project this distance from the ascendant degree; the place where the projection falls will be the Lot of Marriage. In the chart of the emperor Hadrian we find the Sun in the 9th degree of Aquarius and Venus in the 13th degree of Pisces. From 8° Aquarius to 12° Pisces there are 34°. Counted from the ascendant which is found in 1° Aquarius, we come to 5° of Pisces. So the Lot of Marriage in his chart falls in the 6th degree of Pisces or in the second sign from the Ascendant. In male charts you will especially look at the position of Venus, and in the female charts you will especially look at the position of Mars, since they are Marriage-bringers. All things said above, about the co-presence of Venus and Mars in same sign, and the aspect of Saturn and Mercury, the absence of aspect of Jupiter, are now accentuated, since the Lot of Marriage falls in this same licentious sign with Venus and Mars. You should always weigh the testimonies, my child, and never rush in your judgments. A wise man who hears rumors about his wife having a secret affair from one person, will not rush to act; he will ask a second person and a third person. If all confirm the same, then the rumor is more likely to be true. But again, the man will need evidence. Give your judgments very carefully! We have no more time, my dearest Marcus, but listen what I will say to you for the end of this class. If you have proven that you do by word and deed and through the traditions handed down to you by me, and if you apply your natural powers of analysis, and if you make it your goal to carry out your operations with all the precision, viz. when you visit the many nations and climes of the world and when you display your talents there, then you will make me worthy of undying fame, and you yourself will be glorified among the people as worthy of this heavenly art. You, having laid a foundation with the abundance of your learning, will attain the status of treatise writer yourself. For you have the nature, the energy, and the self-mastery necessary for this, and you possess the illuminated, mystic initiation into this art, having found the sacred and holy entrance to it. I urge you by the previously mentioned oaths to guard this art and to hide it from the unworthy or the uninitiated, and never to act contentiously against them. For it is better for you to be silent and be defeated, rather than to win victory while showing disrespect for divine matters. Share this knowledge with those who are capable of it. In so doing, you will glorify both me and my science, and you will benefit yourself and show yourself to be diligent and a lover of beauty. The charts given in this text are modernized in round wheel and with glyphs that most probably (at least not all) existed back in 2nd century AD where the fictional story takes place. Great deal of this fictional discussion between Valens and Marcus is based upon the principles given in Anthologies, Book II, chapter 38 “Marriage, Wedlock, and Happiness. Various Theorems and Configurations” as translated by Professor Mark T. Riley. The source of the chart of Emperor Hadrian is Hephaistio of Thebes (5th century AD), as given in his second book of Apotelesmatics. 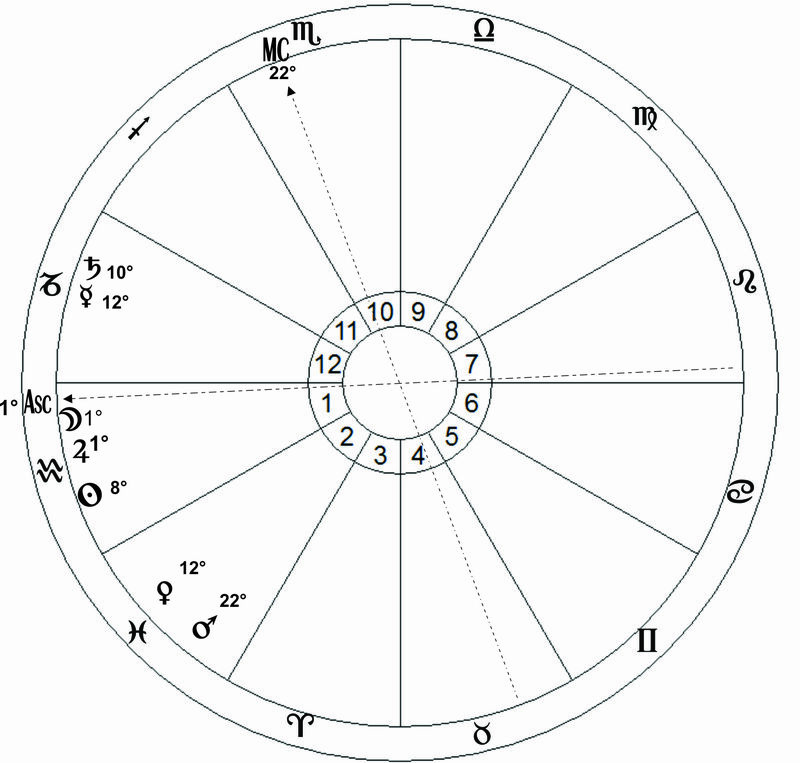 The same chart can be find in Neugebauer and Van Hoesen’s Greek Horoscopes on p.90 chart No. L 76. Of course, the longitudes of the planets are in discrepancy with those given in Hephaistio. I followed the longitudes Hephaistio recommends for the reason that in this article I do not aim to do a scientific or statistical research, but to apply the principles Hellenistic astrologers used in a story-telling manner. As it is most likely that the chart Hephaistio gives circled around the early AD ages, I decided to use it as such, not as the reconstructed version of Neugebauer implies. Hephaistio already represents an analysis of this chart in his book. However, I tried not to rely on that analysis for the simple reason that I didn’t want to imply some views Hephaistio [Antigonus or someone else] had as being in agreement with Valens’ astrology just because we today put them in the simple category of ‘Hellenistic astrology’. Also, he touches the subject of marriage very shortly. Even though the dialogue between Marcus and Valens is fictional, many of the subjects and passages discussed are based on Valens’ Anthology with slight improvisations on my side, which I think are not in conflict with Valens. Marcus is several times mentioned in Anthologies (toward the end of book VII, in the beginning of book IX, and again later in book IX [see the last paragraph above for which I used Riley’s translation]). The interpretation of the strength of the planets as a notion of ‘exercising their potential’ I took from Robert Schmidt as it is given in his comment on the chapter of operative places in Definitions & Foundations (The Golden Hind Press, 2009). The interpretation of the planets in same sect as being ‘members of a same party’ is also something which Robert Schmidt introduced to the astrological world in regard to the interpretation of the principles of Hellenistic astrology. For the quotes of aphorisms from Anthologies inserted here and there throughout the text, I used the translation of Professor Mark T. Riley. About the story of Hadrian and Antinous, you can read more here. I want to give my immense thanks to (in alphabetical order) Chris Brennan and Gorizza Svorzan for their advices and supervision of the text.